Manufacturing is the backbone of Minnesota’s economy, contributing more than $43 billion to the state economy and accounting for 16 percent of the state’s gross domestic product. Furthermore, manufacturing industries are responsible for 13 percent of all private sector jobs within the state. In light of the importance of manufacturing to the state economy, fulfilling the talent needs of the state’s employers is critical to the economic vitality of individual employers, and the state as a whole. 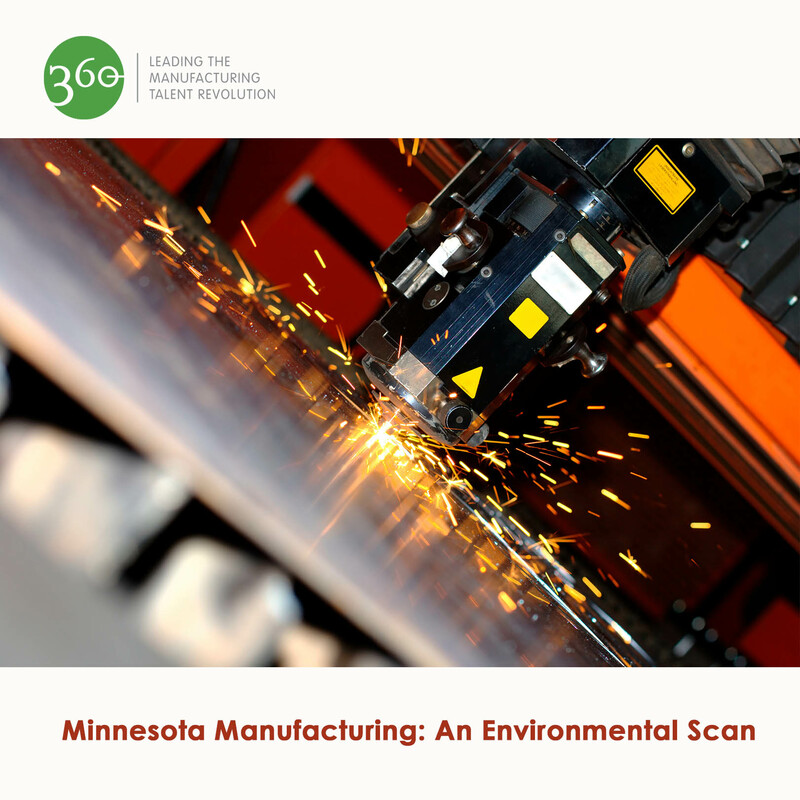 With that in mind, 360 Manufacturing and Applied Engineering ATE Regional Center of Excellence (360) conducted an environmental scan of manufacturing resources and needs within the state, including labor market information, a summary of both K12 education and outreach efforts, and details of current manufacturing training models primarily in use by Minnesota’s institutions of higher education. This paper presents the findings of the environmental scan.